We are hosting a series of drop-in roadshows to appeal for more foster carers during national Foster Care Fortnight, from 16 - 29 May. Foster carers and social workers will be on hand to answer questions and talk about their experiences. Please help spread the word. 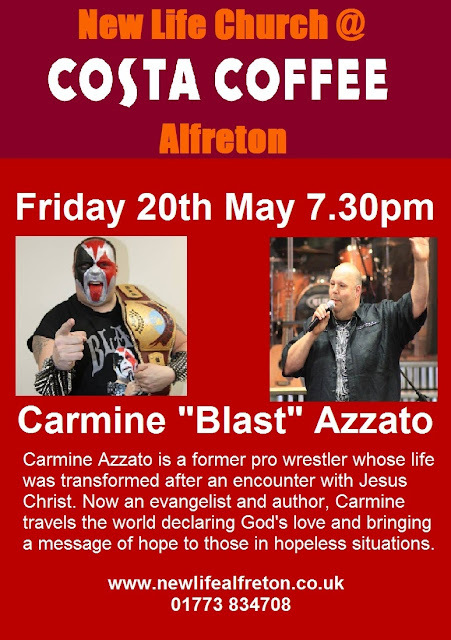 If you, or anyone you know, has a spare room, tell them about our events and they could come along and find out more. No appointment is necessary. We are particularly looking for homes for older children and siblings. Foster carers can offer short or long-term homes, ranging from single-night emergency stays to placements which last for years. Training and support is provided. Allowances and travelling expenses are also paid. To find out more call 0800 083 77 44, email fostering@derbyshire.gov.uk or visit the fostering section of our website. 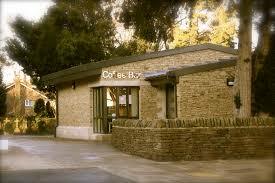 Another exciting opportunity has arisen at St Thomas’ Coffee Bar as our Coffee Bar Manager sets off in June to travel the world. A job description for this post is available from Beth Robson, Centre Manager, onenquiries@stthomascentre.com or 279916. Closing date for applications will be 13 May. Springing into Summer! Apologies for the long delay in writing but foodbank business must take presidence, and yes it has been busy. Wow! People have been so generous, we were still receiving donations from the Christmas period. With individuals, libraries, schools, churches, businesses, Tesco & Morrisons keeping our drivers busy. Is the foodbank slowing down in client numbers? Er no as latest figures show just as many people are being fed who are in desperate need due to low income, benefits changes/delays, domestic violence, etc. Meet our new fundraiser, Ruth Cooper, as she starts to help raise our profile and encourage people to give generously to keep the foodbanks going. Ruth has been involved in raising money for charity before in other areas and we thank her for giving up time for us. As you know we have to replace the five figure funding we received from local government to pay for the running costs of our three foodbanks and the warehouse. Although we keep our costs to the very minimum with volunteers giving their time and transport for free, we still have heating, lighting, rent and transport fuel costs. And that’s without the future need for a van, copier, etc. 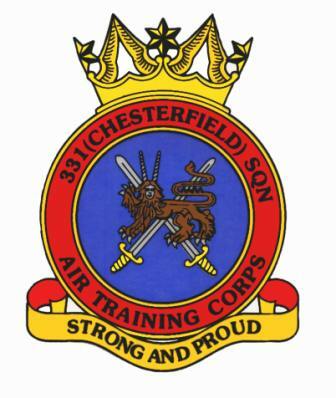 As you may have read on our Facebook page or Website I had the privilege of meeting with the Chesterfield 331 Air Cadets at their barracks where they presented the foodbank with 228.28 kilograms of food and toiletries. Some of the boxes came with words of encouragement for the people receiving the provisions. There was a competitive nature in each flight going for the most items raised from friends, families and local shopkeepers. 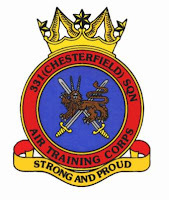 A special thanks go to Claire Green and all the wonderful Officers & Flights at Chesterfield 331 Sqdrn Air Cadets. We are so blessed to have a local warehouse provided by the County Council with plenty of room to process and house all the items required to feed over 2,000 people a year in the foodbanks with surplus from supermarkets going to other food providers. One of our neighbours on the estate, Inspirepack have donated packaged food from their customers by the pallet load. Thanks go to Richard and his colleagues for thinking of us. “You’ll never be without these!” said a generous man in Tesco in December when he handed us a pack of 24 toilet rolls, and of course he is right. The same came from many people who handed over items on our list plus extras of chocolate “an extra treat” or “for the ladies” female hygiene products and “thought families could do with…” nappies and toiletries for babies and toddlers. “you helped us when we came to the foodbank please take these…” bags, sometimes trolley loads of food from past recipients. Well the Summer Collection is nearly upon us again. We are being invited once again into Tesco Extra on Thursday 30th June, Friday 1st July and Saturday 2nd July 9:00am – 5:00pm. I hope all of our volunteers and more will be available to give at least an hour of their time to collect and sort all of the donations expected. Marcella never expected to have to use a foodbank, but when her benefit support of Employment Support Allowance (ESA) was switched to Job Seekers Allowance (JSA), the payment that she so desperately relies on was delayed and she found herself turning to The Trussell Trust for help. Marcella is very grateful that the foodbank was able to help her through this difficult time, especially for signposting her to another agency, who have been able to provide her with a social worker for some extra support. 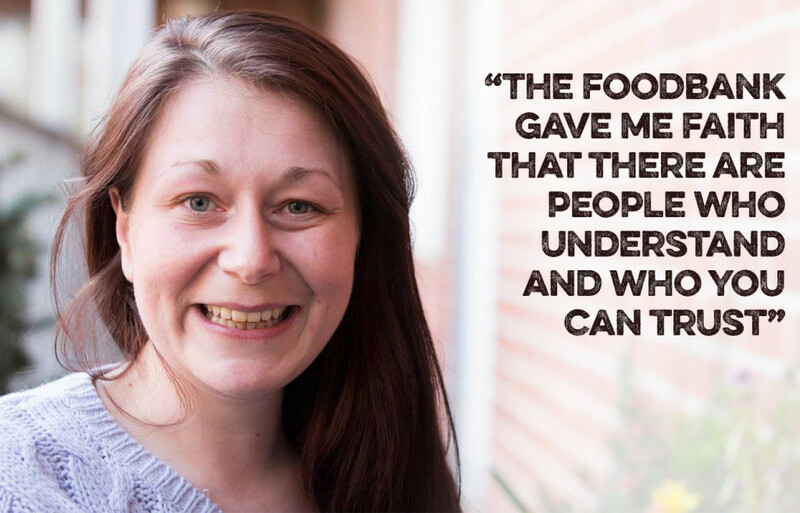 She explained: “The foodbank gave me faith that there are people who understand and who you can trust. They made me feel comfortable and reassured. I felt a bit ashamed at not being able to support myself but they took the pressure off. 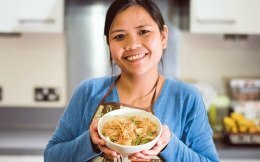 The foodbank really helped and was there for me in every way.” Since then, Marcella’s confidence has improved: “Without their support, I don’t feel like I would have been able to cope. We need to stop judging people and listen to every individual to understand how they got into the situation.” Marcella is currently focusing on getting her health back on track and is looking forward to the future. 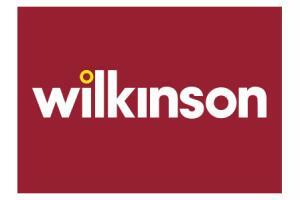 A large quantity of ladies hygiene products has been given by the staff and customers of Wilkinson’s Chesterfield store. This will be shared with the above charity for women not able to afford the essentials (not luxury items) in crisis. course then we thought, how do we get it from the centre of town out to the warehouse industrial estate? Dan and his trusty driver Simon, from Gilders Motor Sales, gave us their time and a van to transport all the chairs, desks and tables into the building ready for Baby-basics to use to process their baby goods. You are stars guys! Our thanks also go to Mick Boothby, builder, who lent his time and van to help us as well, thankyou once again. Not forgetting the volunteers who heaved, puffed and shifted the furniture rom one building into ours, your stars! So good to see a new Superkitchen, opening this April in the Saints Augustine area of Chesterfield. This initiative is to see people coming together socially and enjoying a three-course meal at a reasonable cost. 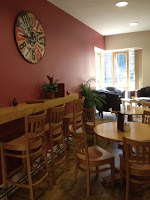 As Marsha their founder says “…Social Eating Spaces. Places for people to eat a meal: affordably, socially and for environmental benefit”. 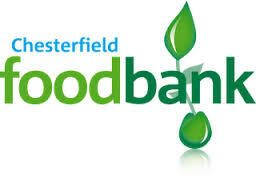 Chesterfield Foodbank will be on hand to offer any surplus products and help required. Visit the Superkitchen site for more details of how it works. We have been so blessed to have surplus food, drink and toiletries supplied by Morrisons Staveley branch. What we don’t give out at the foodbanks goes to the various food providers and Children’s Centres in Chesterfield and outer areas. Universal Credit is a new type of benefit designed to support people who are on a low income or out of work. It replaces six existing benefits and is currently being rolled out across the UK and is now covering people here in Chesterfield. The new system is based on a single monthly payment, transferred directly into a bank account. At present Universal Credit only affects newly unemployed people in certain areas of the country, others are being transferred as we speak. To help with the ongoing running costs of the foodbanks we are always ready to accept financial donations, however large or small, by Gift aiding we can recoup the tax to add to it. Forms are available and can be posted or emailed out. Our on line giving is being overhauled at present on the website. If you are able to help then please contact Ian on 07984 589456 or info@chesterfield.foodbank.org.uk and he will arrange for direct debit information to be forwarded. Thank you! Going the extra… One of our volunteers from Loundsley Green, Keith, generously not only gave but erected new shelving for our food boxes. The old shelving could no longer feel the strain, like most of us, and with Mick our equally generous van driver arranged for the new shelving to be collected and installed. Thanks guys! On two occasions in the last few weeks volunteers have given up warm clothing for individuals without any warm attire. We don’t hold or give out clothing on a regular basis as we don’t have room, but these people could see a need and met it, even going as far as popping out to the local charity shop for ruck sacks or extra needs whilst the clients were waiting for their food parcels. Bless you! Are you living in a car? No? Oh well we have heard of a few people living in their cars whilst their situation has been resolved. People on low wages in organisations like the NHS are finding high rents out of their price range and resort to sleeping in their vehicles to make ends meet. Lets call him John for now. John was living in his car as his elderly mother, whom he had given up his job to care for, became aggressive. Social Services advised him to move out but accommodation couldn’t be found and John stayed in his car. Having lost his carer’s allowance he ended up coming to one of our foodbanks, where volunteers not only fed him but continued to help. John after a few weeks managed to obtain a local housing flat near his mum, and volunteers helped him furnish the flat. He is still looking for work but appears now and again for a cuppa and a chat. Its not always someone’s fault when they rely on a foodbank for help.